Netflix streaming upstairs interrupting your gaming connection downstairs? Get uninterrupted simultaneous streaming throughout the house and stream 4K videos in unbelievable clarity thanks to incredible gigabit speeds. 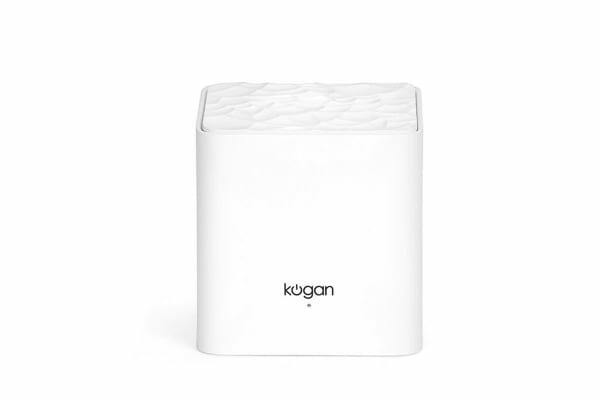 Blanket even the largest home in premium 4K streaming capabilities, and get smoother gaming and video chats even when you’re moving around the house with the Kogan AC1200 Whole Home Mesh Wi-Fi System. Mu-Mimo support allows multiple users to stream, game and browse online on different devices without overcrowding the network and creating a loading time road jam. 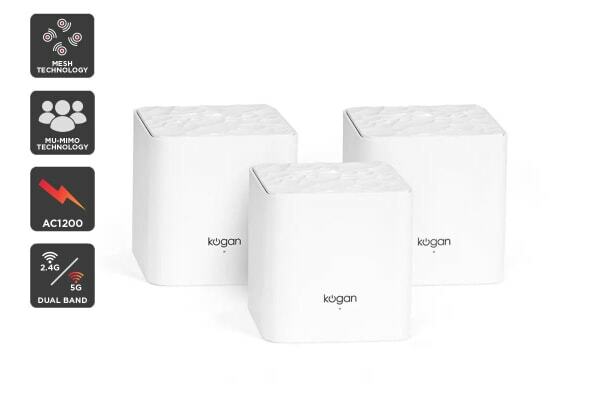 Unlike other mesh nodes that require complex and time consuming set-up, the Kogan Whole Mesh Wi-Fi system is already pre-configured and can be set-up in minutes with the Kogan Mesh app. 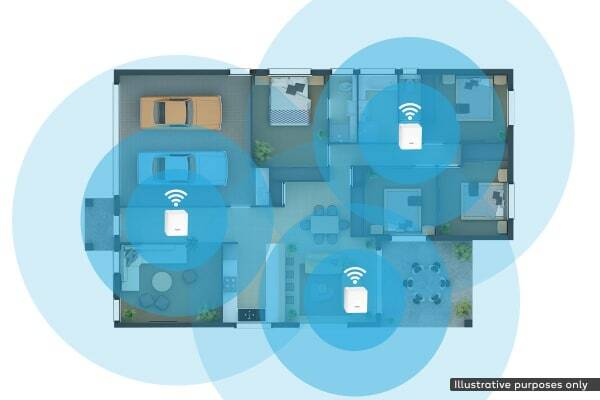 Just connect one node to your existing Wi-Fi network and the other two will follow! ~*Kogan Mesh App is available free for download on both IOS and Android.